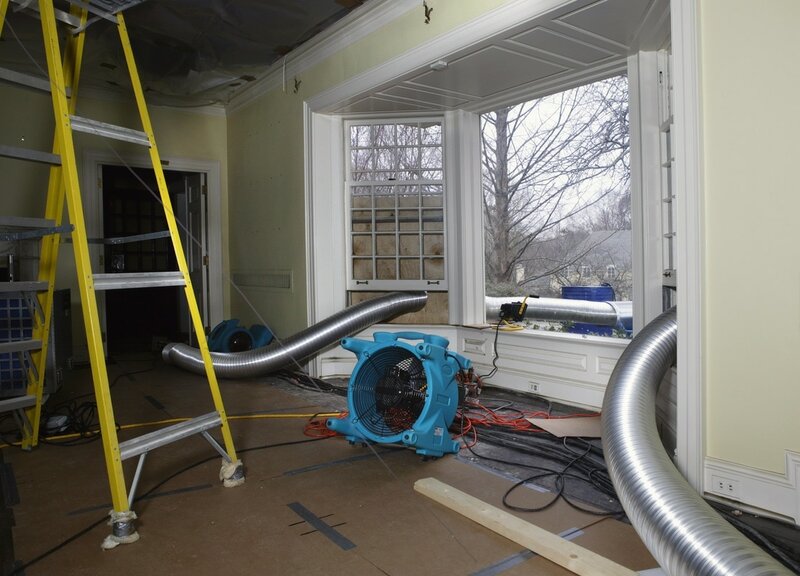 Winter weather freezes and ruptures pipes, creating water damage in homes. Extreme cold also makes the drying process more difficult. This is especially true when the electricity is shut off and the building is too cold for standard dehumidifiers to work. Althouse Restore uses “low grain refrigerant” dehumidifiers that work at lower temperatures and desiccant dehumidifiers which can work at freezing temperatures. Adding heat also speeds the drying process. For example, raising the temperature from 60 degrees to 70 degrees can increase evaporative potential by 45%. Althouse Restore uses Dragon® Mobile Furnaces by Dri-eaz. 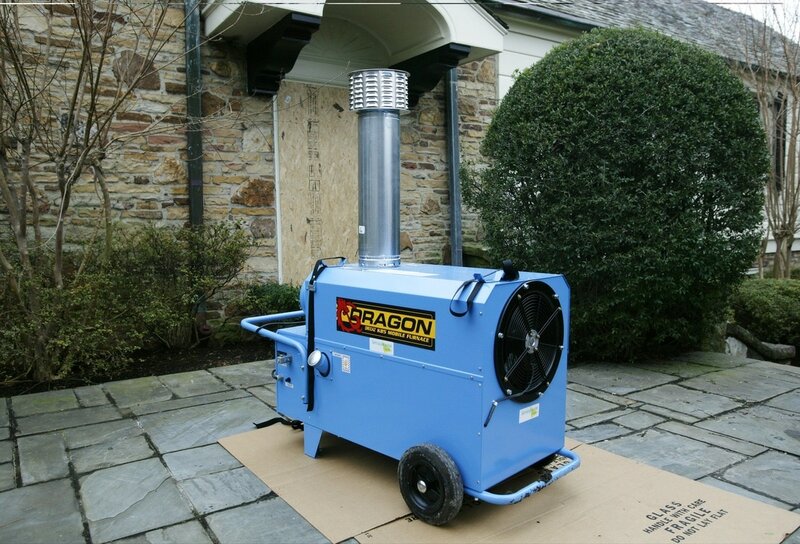 When placed outside, the Dragon® pumps 85,00 BTUs of dry heat into the cold building; heating the interior without introducing any fumes. A remote thermostat inside the home regulates the temperature. The unit also works well for drying crawlspaces. Another use for the Dragon is to heat an enclosed area. Most of the time after a fire, a home or business will have their electricity shut off--at least until it is examined and determined to be safe buy a licensed electrician. Winter days can get cold in El Paso. Althouse Restore smoke and fire restoration personnel use the Dri-eaz Dragon Mobile Furnace to maintain heated areas to work in. In addition to increasing productivity, having a warm work site is also important as some cleaning solutions are water based.